Find enjoyable things to do outdoors in the Bronx that are popular amongst locals and tourists alike. Find fun outdoor activities in the Bronx that you and your family will absolutely adore. Explore a multitude of Bronx outdoor activities that will make your afternoon in the borough extra-memorable. Whether you're champion cyclist or a casual biker, here's a comprehensive guide to biking in the Bronx. 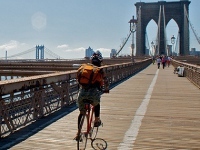 Find bike trails in The Bronx that best fit your cycling needs. Take advantage of the coolest biking Bronx has to offer. Make the most of your visit to the borough by taking advantage of the finest boating in the Bronx. 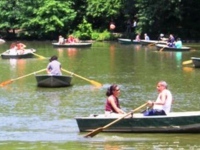 Search our Bronx boating guide and find all sorts of places to go canoeing, kayaking, etc. Experience bronx boating at its finest on some of the nicest rivers and lakes in the borough. Find horseback riding in the Bronx at various equestrian centers and other outdoor venues in the area. Search for horseback riding trails in the bronx that cater to equestrians of all riding abilities. 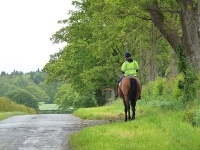 Read detailed reviews about various places that offer horseback riding Bronx. Use this list of fun and relaxing outdoor leisure activities Bronx has to offer to find local things to do. 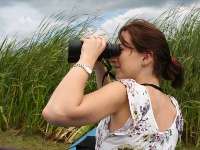 Leisure activities in Bronx range from bird watching to golfing.